Figure 1. 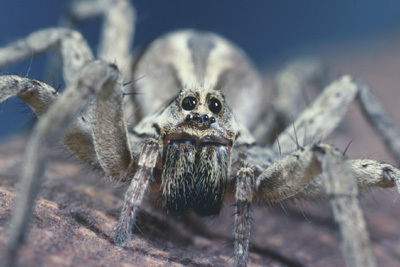 Picture of the Schizocosa mccooki taken by Kenwyn B. Suttle, of University of California Berkeley. Picture taken in California. Color ranges from dark brown to light brown. 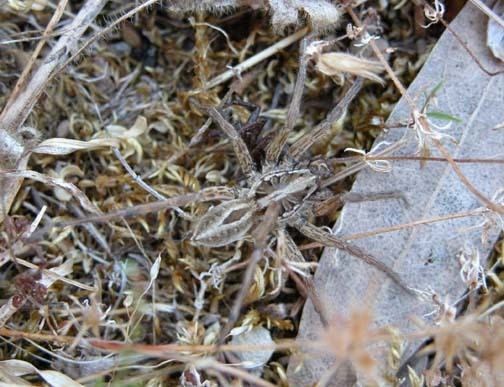 Very well camouflaged with enviornment to avoid detection by predators and prey. Figure 2. 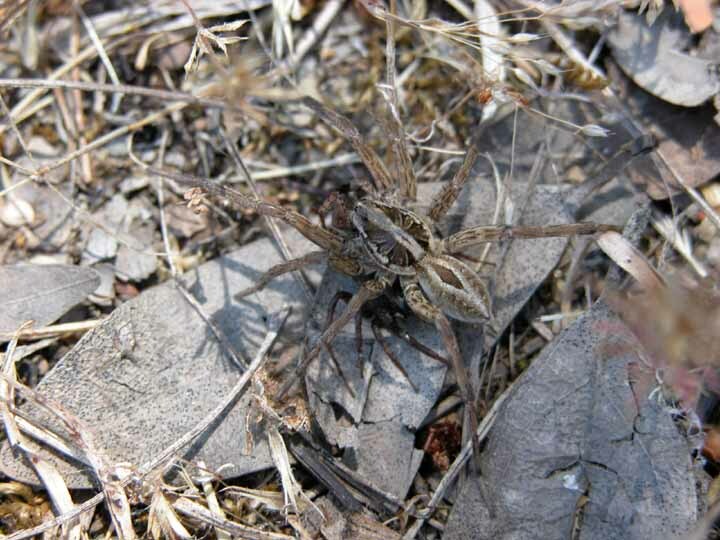 Picture of the Schizocosa mccooki taken by Kenwyn B. Suttle, of University of California Berkeley. Picture taken in California. Brown in color, ranges from dark to lighter brown. Figure 3. 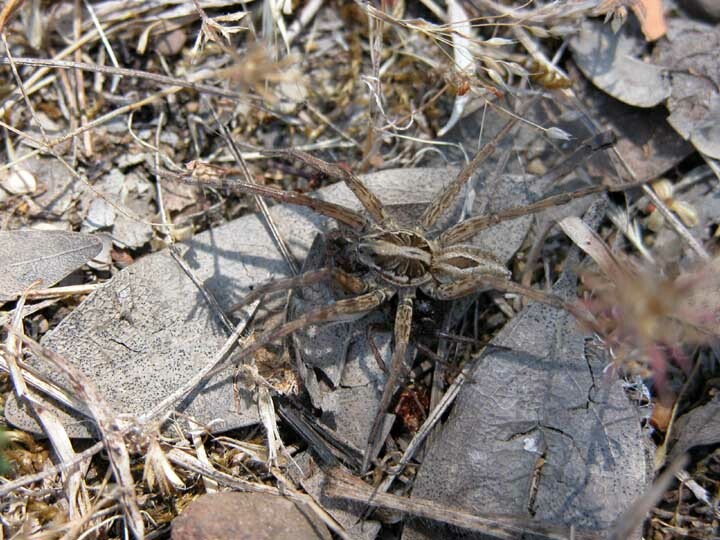 Picture of the Schizocosa mccooki taken by Kenwyn B. Suttle, of University of California Berkeley. Picture taken in California. 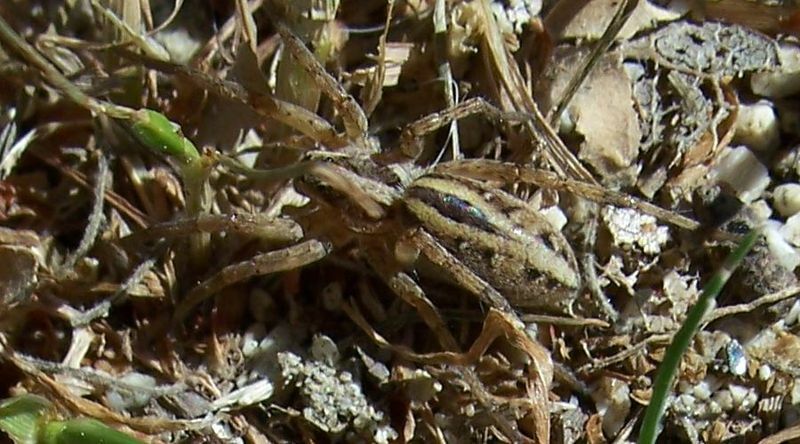 Camouflaged with enviornment allows spider to get close to prey without detection. Figure 4. 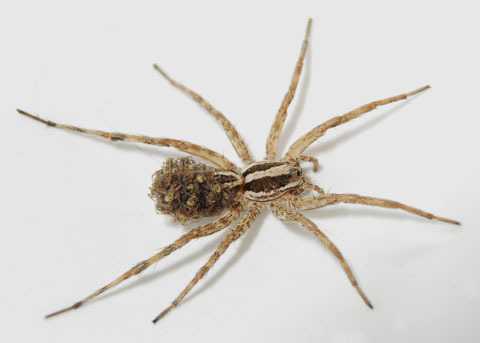 Picture of the Schizocosa mccooki female with her newborn young on her back. Picture taken by Peter J. Bryant, University of California Irvine. Picture taken in Newport Beach, California. Figure 5. Picture of Schizocosa mccooki taken by Peter J. Bryant, University of California Irvine. Taken in Irvine California. 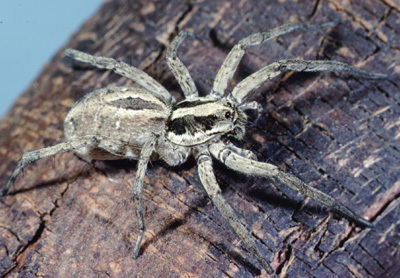 Full body view of spider. Figure 6. Picture of Schizocosa mccooki taken by Peter J. Bryant, University of California Irvine. Taken in Irvine California. 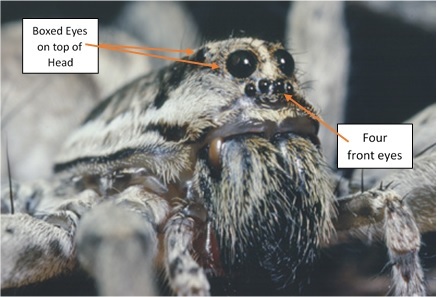 Front view of spider. Figure 7. Piture of Schizocosa mccooki taken by Peter J. Bryant, University of California Irvine. Taken in Irvine California. Close up of the eyes of the S. mccooki. Wording added by Alex Kirchner. Figure 8. Picture of Schizocosa mccooki perfectly camouflaged to its enviornment. Picture found wikimedia.org. Figure 9. 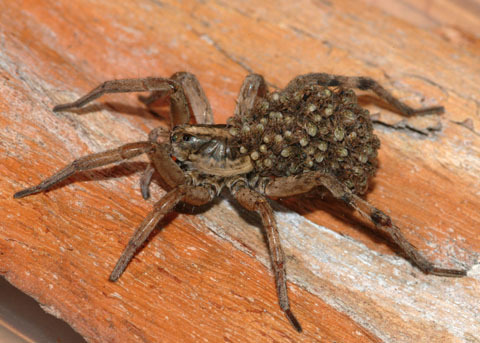 Picture of female Schizocosa mccooki carrying her young on her back. Picture taken by Peter J. Bryant University of California, Irvine. Picture taken in Newport Beach California. Figure 10. 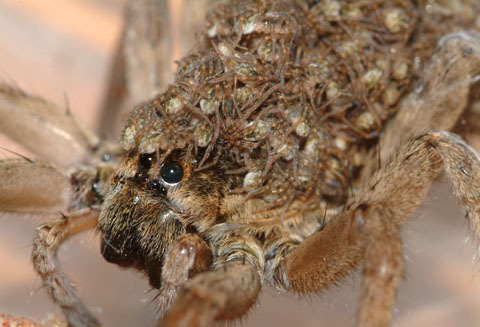 Close up of mother Schizocosa mccooki with her young on her back. Picutre credited to Pter J. Bryant University of California, Irvine. Picture taken in Newport Beach, California.